Is your pet a real carpet shark, always chasing you by your ankles? Or are they more of a sleeping beauty perched on top of pillows on your bed, or maybe a bandit as they steal the last slice of cheese in the house and hide. 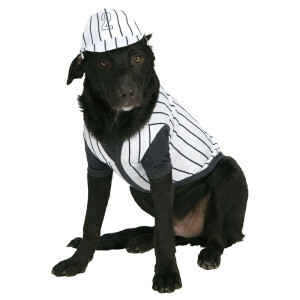 Well, Halloween is a great time to let your pet’s personality shine through with some fantastic, charming and often hilarious pet costumes from Pet Smart. Whether you do a full costume or just a festive and spooky bandana there are many options to choose from that should suit every family’s budget. If costumes spend more time on your floor than on your pet, a fun Halloween pet toy such as a quality stuffed bat or pirate toy, may be the ideal solution to keep your pet occupied as the trick or treater’s come knocking on the door. This Halloween let your pet’s true nature shine. Happy Halloween from Pet Smart!